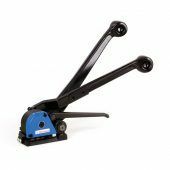 SPECTA SUMO tensioner is a light and compact tool for strapping of different products. 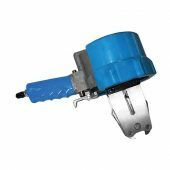 SPECTA SUMO764 Tensioner is a pneumatic compact tool for strapping of different flat- and round-surface cargo. 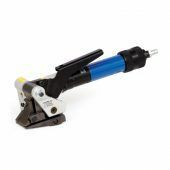 SPECTA KATANA Sealer is a light and compact pneumatic tool for strapping with a special push type seal, with two notches on each side. SPECTA KATANA 774 is a pneumatic sealer for strapping flat and round-surface products. SPECTA SAMURAI is distinguished with high tension force and is intended for pneumatic steel strapping of pipes, wire coils, rods, shapes and other metal products. 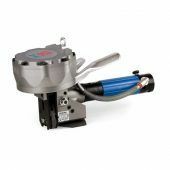 SPECTA SAMURAI 716 is a compact pneumatic tool intended for steel strapping of different flat- and round-surface products. 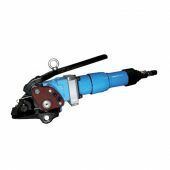 SPECTA SAMURAI 742 and 752 are pneumatic tools for strapping of flat and round-surface products. 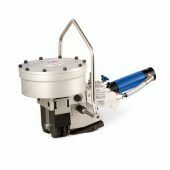 Pneumatic sealless tool SPECTA PRESTO is widely used for strapping industrial products with flat and round-shaped surfaces. It has small weight. 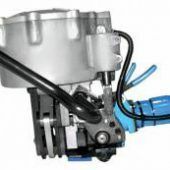 Pneumatic sealless tool SPECTA PEGAS is widely used for strapping products with flat surface. 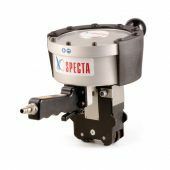 SPECTA KRONOS 407 is a mechanical tool for steel strapping of flat-surface products, such as sheet metal stacks, pallets, cases, bricks, wood products etc.